Southdown is a well-established industrial testing company providing one of the most comprehensive ranges of materials testing services in the country. 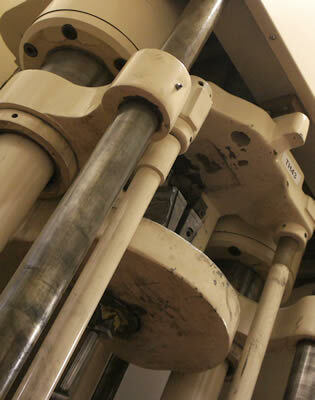 Modern technology and up-to-date computer based machines and equipment are employed to ensure all of Southdown’s testing services – destructive and non-destructive – are founded on accuracy, quality of service and fast turnaround, all provided at a keenly competitive price. Since its formation in 1991 Southdown has developed a deep and extensive understanding of the needs of a wide range of industries, having serviced regularly companies within the oil, gas, petrochemical, nuclear, conventional and renewable energy power generation, desalination, aerospace, sub-marine, civil and general engineering sectors: Gaining UKAS approval ISO/IEC 17025 in 1992, SAFed approval for our welding related activities, and very recently UKAS approval ISO/IEC 17020 for our welder qualification and weld procedure approval inspection activities. Whether providing a specific engineering service or inspection function, Southdown operates to a philosophy of total flexibility and dedication to the needs of the client.